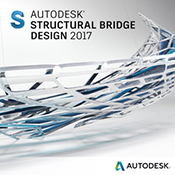 Autodesk Inventor® software provides professional-grade engineering solutions for 3D mechanical design, simulation, tool creation, and design communication that help you to make great products, cost-effectively, in less time. With Inventor, you can easily integrate AutoCAD® and 3D data into a single digital model to create a virtual representation of the final product. Inventor helps you realise the benefits of 3D product development by providing an associative link to native DWG files that ensures accuracy in your design. Quickly understand how your design will work in the real world with Integrated Motion Simulation using the Autodesk solution for Digital Prototyping, which uses the assembly constraints in your 3D model to identify rigid bodies, improve motion joints, and calculate behavior. Save time and reduce prototyping costs by testing a product's performance before it's built. Motion simulation and stress analysis tools help you find the best design solutions more quickly and easily. Increase the accuracy of design stress analyses with integrated Finite Element Analysis (FEA) that helps you quickly predict the performance of load-bearing frame models. Present the results using report generating tools that create graphics and animations from your analysis. Reduce file open times with Express Mode, a new way of working with large assemblies more efficiently. 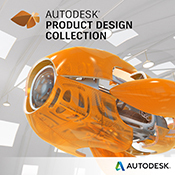 Autodesk Inventor Professional software provides functionality for advanced mechanical engineering design, finite element analysis, motion simulation, data management, routed system and mold design, as well as enhanced AutoCAD productivity solutions. AutoCAD Inventor enables you to explore advanced 3D features which include additional simulation, routed system, and tooling capabilities. To learn more about Autodesk Inventor please watch the videos below. Inventor Professional is included as part of the Product Design & Manufacturing Collection. Fusion 360 is the first 3D CAD, CAM, and CAE tool of its kind. It connects your entire product development process in a single cloud-based platform. Woodwork for Inventor is an application that sits inside Autodesk Inventor software that is purpose built for companies specialising in joinery, furniture design, cabinet making & shop-fit design.